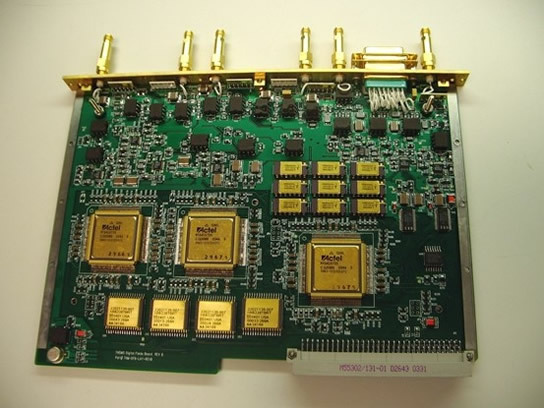 The THEMIS Digital Fields Board (DFB) performs the spectral processing for the Electric Fields Instrument (EFI) and the Search Coil Magnetometer (SCM). The resulting data represent the electric and magnetic wave power in bands from DC up to 8 kHz, plus a high-frequency electric field band from 30 kHz to 500 kHz. Additionally, the DFB filters and digitizes the analog signals from the EFI and SCM instruments. The DFB creates two types of spectral products: filter bank data (FBK) and Fourier power spectra (FFT). The filter bank data are meant for survey-type monitoring of wave power. They have broad frequency bands and relatively low time resolution, and are usually available whenever the instruments are on. The FFT data are meant for detailed event studies, and have much narrower and sharper spectral bands as well as higher time resolution. The FFT data are available only when the spacecraft is in burst mode.